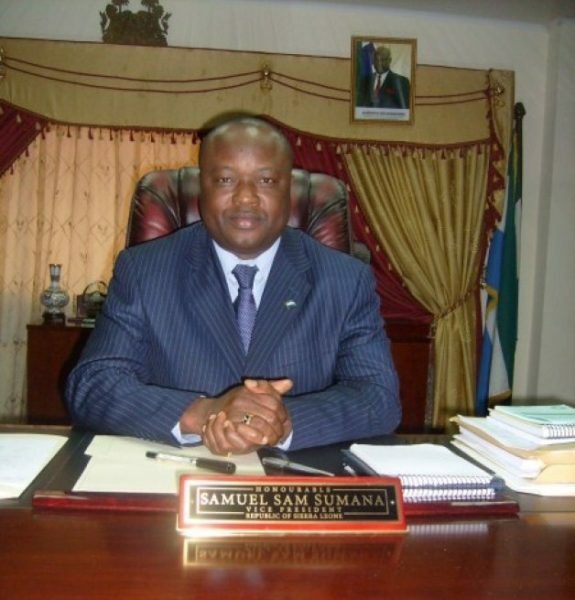 The Vice-President of Sierra Leone, Samuel Sam-Suman has voluntarily placed himself under a 3-week quarantine after one of his security personnel died from the Ebola Virus, according to the Associated Press. It is reported that Sierra Leone recorded 18 new cases of Ebola last week, up from 16 the week before. President Ernest Bai Koroma will attend a European Union conference on Ebola in Belgium, the AP reports. In the presidents’ absence, Vice President Sam-Sumana will become acting president, carrying out his duties from home.